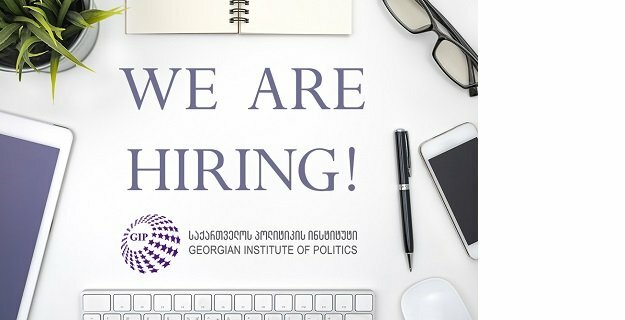 The Georgian Institute of Politics (GIP) is seeking Researcher in Tbilisi, Georgia. The Georgian Institute of Politics (GIP) is a Tbilisi-based non-profit, non-partisan, research and analysis organization founded in early 2011. GIP strives to strengthen the organizational backbone of democratic institutions and promote good governance and development through policy research and advocacy in Georgia. It also encourages public participation in civil society-building and developing democratic processes. GIP seeks a researcher to conduct a study on DCFTA implementation in Georgia, in the framework of the project “Georgia on European Way: Creation of Effective Model for DCFTA and SME Strategy Implementation”. The researcher will collect information from project consortium members, conduct desk research and focus groups, and will be responsible for preparing a unified report on research results. We are looking for applicants with graduate-level education and professional experience in economics. Experience. The successful candidate will have experience performing policy research; a background working on DCFTA related issues is a strong advantage. The working languages are English and Georgian. • Develop a unified study report, ensuring high quality standards. Expected length of the report – around 40 pages. This is a part-time, two-month long assignment. Occasional travel may be necessary. Flexible work arrangements may be considered. Project manager will provide with logistic and administrative support to finalize the study report. • Good verbal communication skills.